Connect your iPhone or iPad via USB to your Mac or PC running iTunes 10 or later. 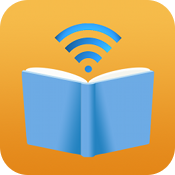 Drag and drop ebook files to “ShuBook Documents” in iTunes File Sharing. Note that iTunes will let you drag in almost any file, whether it is supported by the application. 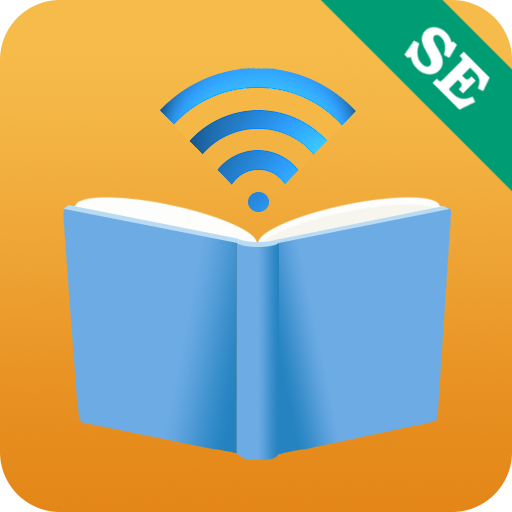 This is in contrast to the special support enjoyed by Apple's iBooks. 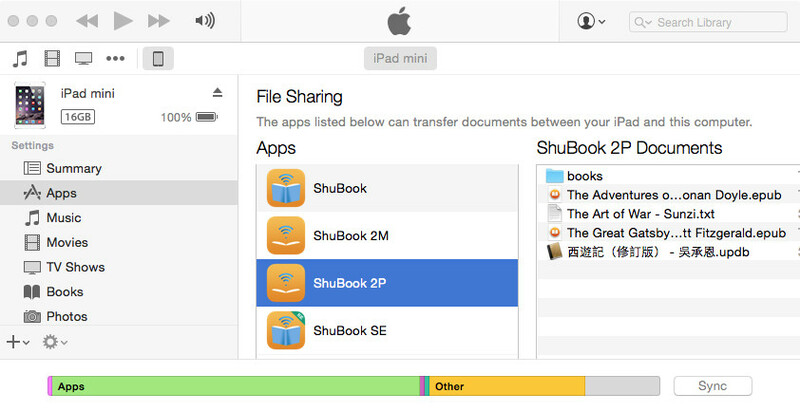 Tap “ShuBook Documents” of ShuBook to import the books. Files of unsupported formats will not be imported. Exactly identical books already in ShuBook Library will be skipped during import. After import, the file(s) should be automatically deleted. Otherwise, you map tap “Settings | Clear iTunes Documents”. 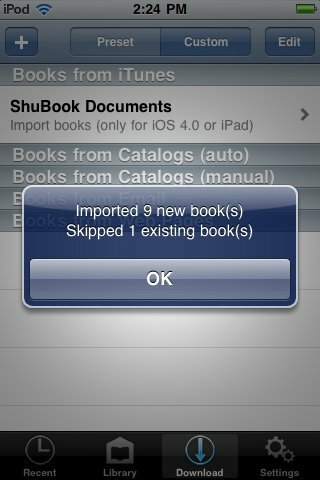 You may also delete the books from “ShuBook Documents” of iTunes to save storage space. iTunes will delete a file if you select it and hit the <delete> key. Copyright © 2010-2015 Ambibma Ltd. All rights reserved.